Though they may not receive a lot of attention from most car owners, filters are some of the most important automotive components around. Filters of all shapes, sizes and types ensure that a car's vital fluids remain untainted. If changed on a regular basis, automotive filters can keep a marginal vehicle on the road long after it's expected expiration date. There are really only three types of filters you'll need to know about: air, oil and fuel. At the end of the day, the point of all filters is to keep fluids and gases free of debris. 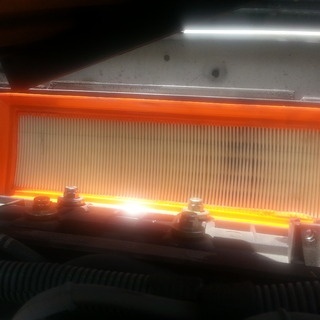 Cheap and easy to replace, filters are a key ingredient in any sound automotive maintenance schedule. The primary air filter in a vehicle sits in front of the engine and strains incoming air that is then fed into the cylinders. Your typical air filter is a square or rectangle composed of a porous synthetic mesh housed within a frame. They typically cost roughly $5 or so and last up to 50,000 miles. An oil filter keeps particulates out of the engine oil that's used to lubricate pumping pistons. Oil filters usually come in the form of a small cylinder that screws on to the side of an engine. Oil is continuously circulated through the filter to keep metal, residue and other gunk from damaging an engine's internals. As you may have guessed, a fuel filter ensures that any gasoline or diesel fuel on its way to an engine's combustion chambers is debris-free. Without a doubt, fuel filters are the most frequently neglected filters in the automotive world. Regardless, they provide a crucial line of defense against rust and dirt that can cause inefficient combustion and engine damage. Changing an automotive filter ranges in difficulty from a cakewalk to a moderate annoyance. Air filters can be installed simply by popping the hood and sliding them in. Oil filters usually require some under the vehicle work. Fuel filters are actually quite easy to change and simply require one to disconnect a fuel line in the engine compartment. The importance of regular filter changes really can't be overstated. Over time, the negative consequences of neglecting filter changes can add up and spell serious trouble in the form of broken camshafts and damaged valves. Ultimately, every kind of automotive filter directly impacts the performance and well-being of the engine. Do yourself a favor and make changing them regularly a priority. Information credit to Minit-Tune & Brake Auto Centres, a Langley oil change and repair center.